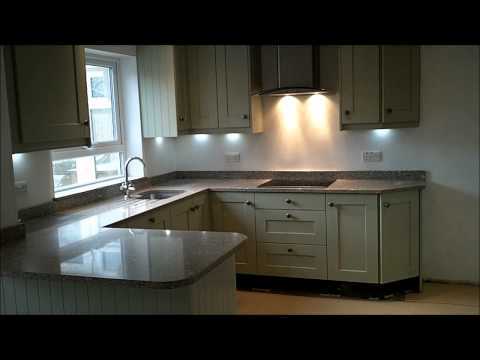 Jackson's Kitchens are a local family run kitchen specialist based in Harpenden. At Jackson's we pride ourselves on our reputation and exceptional levels of customer service, whilst at the same time understanding our customers needs for quality products and the latest designs and innovations. We pride ourselves in offering a wide range of quality kitchens styles to suit all tastes from country classic solid timber through to thoroughly modern high gloss vinyl. Our friendly, experienced team take pride in helping our customers with all aspects of finding a new kitchen, from simple supply only designs, through to full project management, including building work, tiling and flooring. We also offer fitted bedrooms and bathrooms and can handle any building work needed to complete the work. We offer a wide range of quality kitchens styles to suit all tastes and budgets from country classic solid timber through to thoroughly modern high gloss vinyl. Our friendly, experienced team take great care in helping our customers with all aspects of finding a new kitchen, from simple supply only designs, through to full project management, including building work, tiling and flooring. We also offer fitted bedrooms, offices and bathrooms and can handle any additional work required to complete the project.